Nearly 20 companies in Wales are already benefiting from contracts with HS2 – Britain’s largest infrastructure project, providing jobs and skills opportunities for people in Wales. 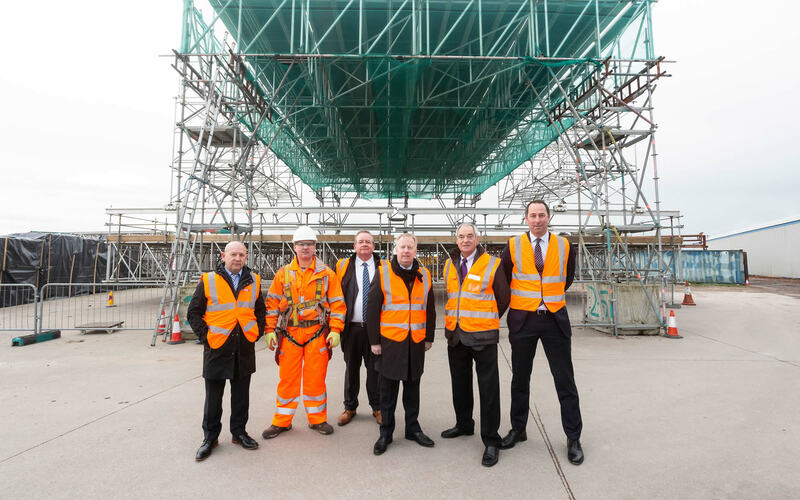 Flintshire-based Palmers Scaffolding and DataScope Systems are amongst those companies currently working on HS2. Palmers Scaffolding, based at Aviation Park has designed and built a special access scaffolding structure for St James’s Gardens in Euston, where HS2 is carrying out part of its extensive archaeology programme. The structure includes a 10,000m2 temporary roof and was built by 30 scaffolding specialists working for the company. 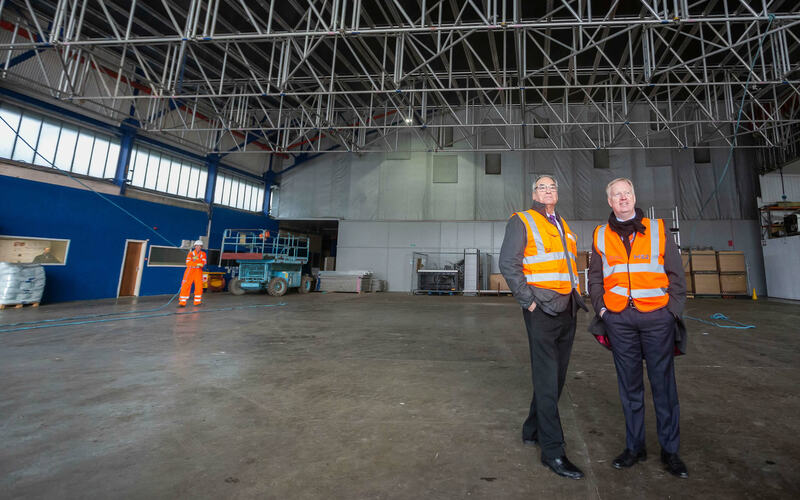 DataScope Systems has been awarded contracts working on HS2 after attending supply chain events aimed at supporting businesses to win work on the project. A team of six senior developers has provided bespoke systems for planning vehicle movements for enabling works on a section of the Phase One route between Euston station in London and the Colne Valley on the outskirts of London. “The HS2 project is a once in a lifetime opportunity for firms from all parts of the UK to get involved and help deliver Britain’s new high speed railway. 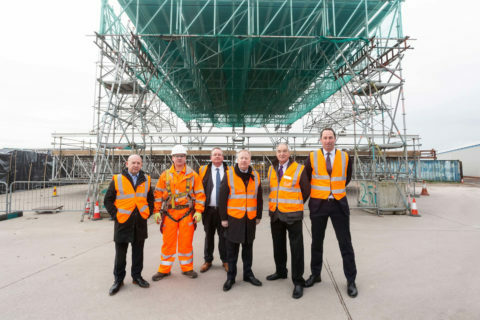 Palmers Scaffolding and DataScope Systems are great examples of businesses that have already got on board with HS2. 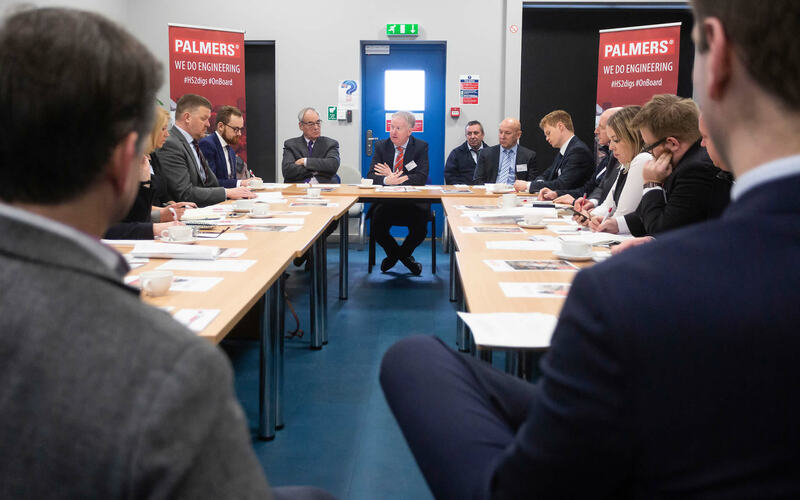 These companies are really benefiting from the investment happening now, being able to sustain jobs for local people, increase their capacity and enable them to grow. 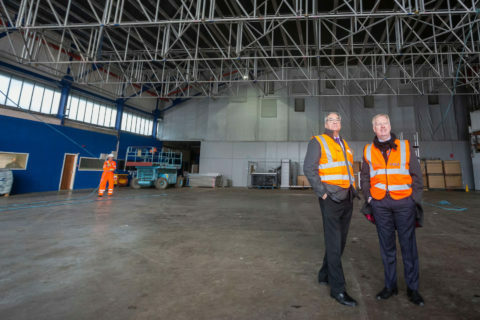 These businesses in Wales are part of the 2000 companies across the UK that are already working on HS2, and providing some of the 7,000 job roles that are already being supported by the project. The size of the HS2 project means that there will be thousands of opportunities within the HS2 supply chain, across many business sectors, requiring a wide range of capabilities, over a number of years that will be suitable for suppliers of all types and sizes. It is expected that every 10 direct tier one major works contracts will result in over 10,000 indirect supply chain opportunities. Last year, HS2 Ltd launched its Skills, Education and Employment Strategy, setting out interventions that will ensure that the UK has not only the skills to deliver the HS2 project, but to become a world leader in high speed rail. At peak construction, 30,000 jobs will be supported by the project, and 2,000 apprentices will be on offer.